Renzo Piano, a high-tech architect, was born in a family of builders in Italy, in 1937. At a very young age he got the chance to get familiar to the art of “doing” by visiting construction sites with his father. He got architectural education at the Milan Politecnico (1959-1964), where he taught until 1968 as well. After graduation he worked in his father’s construction company for some time and later on joined a few firms to gain more experience. Renzo Piano shared his early fame with a fellow architect Richard Rogers. They both worked together from 1971 to 1977. Their most famous joint project was the Centre Georges Pompidou in Paris (1971) about which New York Times declared that it had turned the architectural world upside down. Piano has also revitalized many urban plans. After splitting up with Rogers in 1977, Piano started working with a structural engineer, Peter Rice. During this period of time the areas addressed by Piano were lighting, climate control, integration of function with design and communications. In association with Rice, Piano set up a number of projects that included a mobile workshop established in the Otranto square (an experiment in urban reconstruction). The main aim of this workshop was to revive the craft skills of locals by supplying them a constant source of income through continuous maintenance of the town. 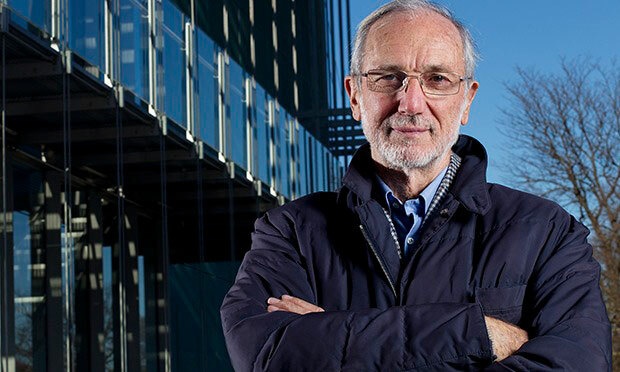 Throughout his career Renzo Piano has been in a constant struggle to surpass the clashes between creativity and scientific constraints. He kept on learning technological knowledge and used it to overcome architectural problems in more productive and modern way. He had a strong faith in amalgamation of craftsmanship and the latest technology. According to Piano, materials are the best tools of an architect of all times and he must identify their power to use them to a far off extent. Piano acquired the competence of controlling the technology with an extensive research. He encouraged the young lot to look at his work for its methodology rather than for its architectural forms. He has this skill with designing where every single design has its own peculiar solution only specific to it. This is the reason that each and every design of piano is different from every other design, thus leaving no space for consistency in his work. One of the latest projects of Renzo Piano is an airport in Osaka, Japan. Kansai terminal is one of the largest buildings Piano has ever designed and the structure of this terminal comprises of swinging and asymmetrical lines. It can accommodate 100,000 passengers a day. In 1995 Kansai faced a devastating earthquake but Renzo Piano reported that terminal did not suffer any damage, not even a broken glass. From 1978 to 2000 Renzo Piano has won about 30 awards, the most prestigious one of which is Pritzker Architecture Award, received in 1998.